It seems likely that we'll be seeing a Monster Hunter game on the Nintendo Switch at some point in the near future, given the success the series has found on the 3DS. Still, whatever's next for the series is being kept tightly under wraps, but for those of you in North America that've been looking to jump into the popular monster slaying games, now is as good a time as any to see what the fuss is about. What do you think? Will you be getting anything? What do you think a Monster Hunter on Switch will be like? Share your thoughts in the comments below. Let me know when they run a sale on a Switch version since I own every Nintendo version ever made and some twice! They've already shown it can work as home console/handheld with 3 Ultimate, and I remember having a blast with that. I'm looking forward to a Switch Monster Hunter some time in the future. Just thinking how cool it will be to have Monster Hunter on Switch... imagine it selling "billions" in Japan... and worldwide. Disney NES Collection on Nintendo machines means more than these discount. Come on, Capcom ! Can they please bring Monster Hunter on the Switch? 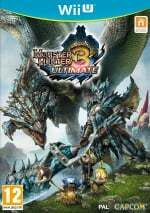 No surprise to any that have read my posts, but never played a Monster Hunter game. I was interested but all I heard is that you need to have a team, and I play mostly single player. Is this yet another franchise that punishes those who don't have a lot of friends that also game? Thanks Capcom but...how bout that Disney Afternoon Collection? Pretty sure it would do fine on Switch. I'll prob skip generations this time. I really want one on Switch. And I have supported the franchise several times before. My puppet body is ready for a Switch version. Pity we won't be able to clear the screen of all the hud clutter. 3U on the Wii U is great. @Rumncoke25 I always play solo. It does take a bit longer to conquer more advanced quests but it's also very rewarding when it happens. Man I would if I did not own them already. Really can't wait for Monster Hunter on the Switch! Nope I will not be buying any. I have 4 ultimate and it's really one of the worst gaming experiences I've had, everything is so slow even fast weapons like dual blades. You should be able to stop mid combo like every other hack and slash. 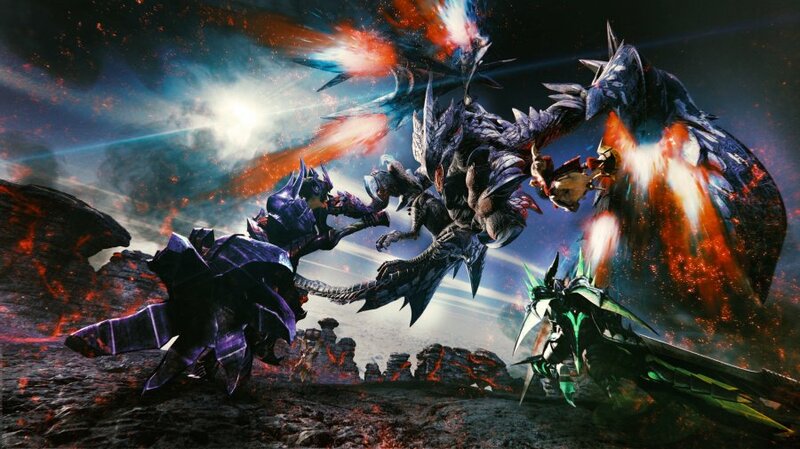 I've tried a few times, but I just can't get into Monster Hunter. @Rumncoke25 Need to have a team? That's Splatoon. Monster Hunter is totally playable alone. Older MonHun games were rather punishing to solo players but still doable. The latest games are much more accessible, but full-size party play can speed up the monster death a little too much. @audiobrainiac I agree about waiting on Generations. Never owned a Wii U and have owned 3 iterations on MH (all on handhelds). I'm ready to use my Switch Pro Controller and play in glorious HD. A Monster Hunter game on Nintendo Switch is exactly what I need in my life! Well, that and the next Animal Crossing title! Capcom stop screwing around and give us retro fans the Disney afternoon collection on the Switch!!! Cmon!! Those games BELONG on a Nintendo system!!! Skipped Generations becuase I got sick after sinking over 300 hours on both MH3U and 4U, but I'd totally get another home console version. 3U was great on the big screen. @Rumncoke25 personally I'd recommend 4U as the best single player experience. If you'd rather play on the big screen you could try 3U on wiiu. I couldn't get into Generations as much and the solo campaign is by far the weakest imo. Beware, there's a pretty steep learning curve for anyone new to the series. Ugh I really want get 4 and Generations, but at this point, I don't think I can go back to the 3DS after experiencing the Switch. @GameOtaku Like with all games, they become hard and clunky when you try to be stubborn and force your own interpretation of how it should play. If you adapt to the system and embrace it, you'll be extremely successful. If you decide that the game is wrong, and not you? You will lose. All of the time. I miss when every game used to do this to players. Made them more open minded and broke their over inflated egos. You're losing because you think you're playing it right, and that the game itself is wrong. The reality is that you and your preconceptions are wrong, and that's why you fail. You'll find that using this same mentality in the real world results in the exact same outcome. Life itself is about adapting to the world ,because the world won't change itself for you. You're trying to push a boulder, when you could just take the path around it. I've never really remotely had an interest in trying to get into Monster Hunter obviously. Doesn't help the one thing that did kind of intrigue me was learning you could dress as Lucina and then I learned that's in a Japan-only game. Sword Art Online lost song is how dual blades should work, or final fantasy explorers controls much better than monster hunter. @Rumncoke25 You can play Monster Hunter solo just fine. I do. Then when you get to the harder quests IF you would like some help we will all be here for you. Any of us would be glad to help you whenever you ask. Even then it's still going to be visible to a degree, marring any potentially awesome screenshots I might take. Fantastic price for MH3U on Wii U. It's a brilliant game, anyone who doesn't own it should buy it. But, seriously, c'mon now, for the umpteenth time why isn't EUROPE included in this sale? The best way to play is online with friends and voice chat! This can only be done in monster hunter 3 Wii u. So I really hope they make the next one....switch with voice chat. Hopefully they are just trying to earn as much as possible from their current Monster Hunter before they announced the switch version !!!!! I did miss out on generations so I guess this would be the perfect time! I'm getting Generations for my son. He wanted it last year and $25 Cdn plus tax is too good to pass up. @Rumncoke25 It really depends. With 1v1 there's no real issues. With multi monster fights, where you fight more than one monster at once, you often need a ton of planning (and a bit of luck especially in tiny single area arenas). Those are generally where you will see a huge difference in clear speed and consistency when playing multiplayer as there is more than one target (well that's providing your team mates are somewhat reliable). Thanks to all for the replies. It's great news that slop play is an option. All my info came from older monster hunter, and of course I've not played since. Really looking forward to a Switch version( no Wii U). I'll make sure to look for some friends here to maybe team up with when the time comes. @GameOtaku basically what other people said. Your limited time with the game shows, this is a series that takes perseverance and experience. You can't just come in looking for it to be like every generic hack 'n' slash, you can't use experience from other games, you can't just button mash your way through the fights and cancel out whenever things look bad. Dual blades do strike fast and often if you practice the combos, and you can cancel out of combos but you need to learn when you can cancel out, you can't just go in willy nilly. And even more so each monster takes practice, you're not expected to fight a monster once and move on, you learn where its tells are and when is a safe time to attack... and then you can see when it's getting ready to retaliate and it always gives you a fair amount of time to get out of the way. It's not for everyone but just because it actually takes time to learn doesn't mean it's a bad series. I wish they had in Europe a sale like this. Generations was just on sale, but for 30€.